After many years our dream came true, on the beautiful island of Kos, at the centre of the island, at the foothills of Mountain Dikaios, in the welcoming land of Asfendiou, since ancient times renowned wines have been produced and it is here our family has been creating its own legacy. 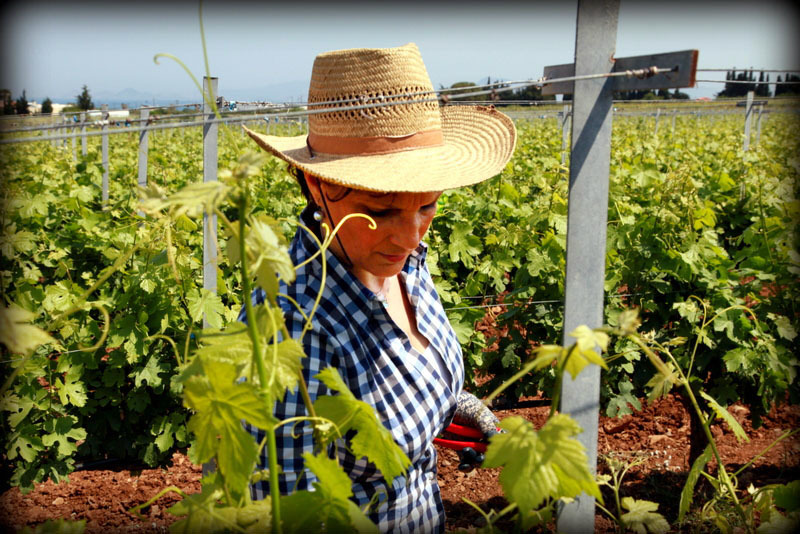 By planting the first grapes in 1996 under the guidance of Prof. Dimitris Stavrakas we entered the world of winemaking. Our first enologist Giorgos Dedes also provided his knowledge so that we could make our steps forward into the wine scene of Kos island. Year after year our passion grew together with our vineyards and today we have reached 12 acres. All the family has been together on this path and in 2001 we achieved another of our dreams, our winery starts being constructed. We set aside 2500 sqm in order to offer our grapes the perfect home. With modern techniques and with respect towards the environment, we can now produce wines made with passion and care. A new age Winery with modern aesthetics whose primary goal is to set and impose all the standards for higher quality wine production, and give back something to the island that has given so many things to our family. The combination of fertile grounds with the implemented practices for cultivation contribute to the optimal development of the vineyard in all the stages of development and ensures that the grapes ripen in the most favourable way. Christos Papagiannis took over as our enologist in 2005 and set our winery, which had grown already, on a more streamlined path giving our wines what they needed to have their own identity. Ιn 2007 after a tenacious struggle we put Kos island in the national and international wine map by achieving the PGI and by starting winning awards in various international competitions. We have come so far but there is still a long road to follow. Looking forward into the future we have invested in an experimental micro vineyard using varieties that we have looked for all over Greece, varieties which have been lost during the ages and we are trying to bring them back to life and put them back on the table were they belong.